"Trying to achieve financial success without using one side of the balance sheet is like trying to swim without using one of your arms: you'll survive, but you won't be winning any races. 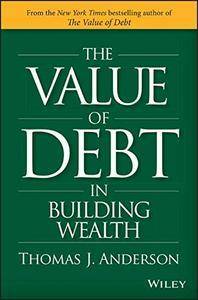 Tom has explained how to strategically and prudently use debt to build wealth and live a better life." "The invention of debt fueled all of the Enlightenment, the Industrial Revolution, and Silicon Valley, and has resulted in almost every innovation and invention that man uses today. Nobody gets this. Tom Anderson gets this. A valuable book to understand a controversial topic." "Given how many people get trapped in the cycle of oppressive, high-interest rate debt, it's easy to dismiss all debt as inherently bad. The Value of Debt in Building Wealth shows us—both practically and mathematically— that the right kind of low-interest debt can help grow wealth. Debt can and should be used to invest in growth: a home, a business, or your own education, and if your return on investment exceeds the cost of debt. This book will give you a plan." "There is a wealth of deep knowledge in finance on the value of debt for both corporations and individuals and how the judicious use of debt can ensure that its benefits exceed its costs. However, much of this knowledge remains within academia and is not readily accessed by households and individuals who have much to learn from it. Tom's book does a great service by taking this knowledge, combining it with his own vast experience in financial markets, and presenting it in a refreshingly new and persuasive way. It should be a valuable tool for people who want to learn how to optimize the way they use both sides of their balance sheets to build and preserve their wealth for a better life." "Tom encourages us to look at how using both sides of the balance sheet can help us achieve our goals. The real-world case studies will have you wondering why you've never heard about debt in this way before. You'll close this book feeling more empowered about your financial future." "Embracing debt can be a tough concept to overcome. 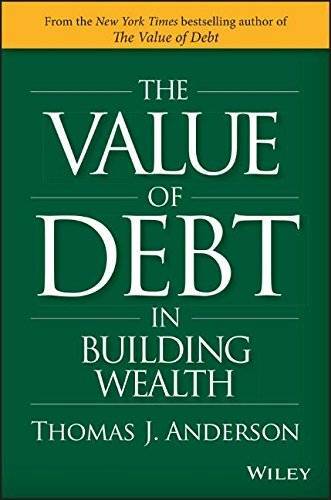 In The Value of Debt in Building Wealth, Tom once again shows a way to break through the conventional noise by offering a thoughtful perspective grounded in proven financial theories on the strategic use of debt. Thought-provoking, digestible, and compelling, this book is for everyone who wants to get the most out of their money at each stage of their life."